See the Gala Journal from the event, complete with sponsors and honorees. Check out the photos and press coverage from the event. 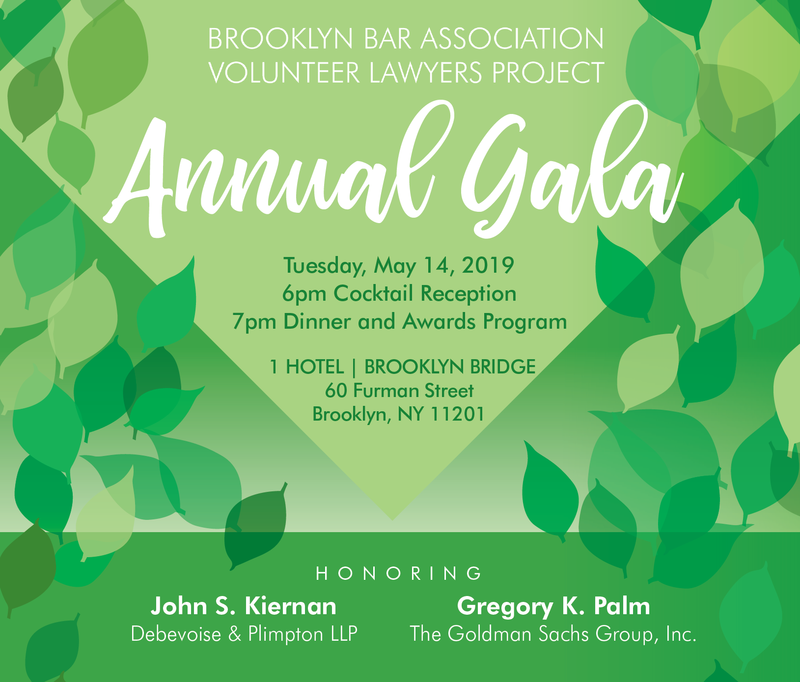 Purchasing or donating event tickets on tix4cause.com and choosing Brooklyn Volunteer Lawyers Project as your organization generates an automatic donation to the VLP, at no extra cost to you! BROOKLYN, NY, June 3, 2015: Today, Brooklyn Borough President Eric L. Adams announced his Access to Legal Service program, a partnership he has forged with the Brooklyn Bar Association Volunteer Lawyers Project and Legal Services NYC-Brooklyn, to offer free professional assistance to Brooklynites in need. The initiative will run out of Room G-80 at Brooklyn Borough Hall between the hours of 2:00 PM and 5:00 PM on select days. 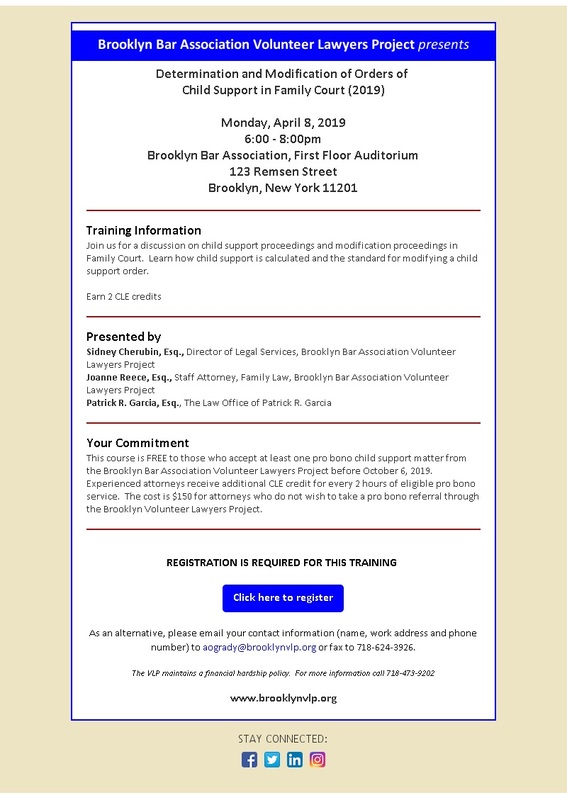 On the second Wednesday of every month, the Brooklyn Bar Association Volunteer Lawyers Project will offer foreclosure intervention and prevention services. 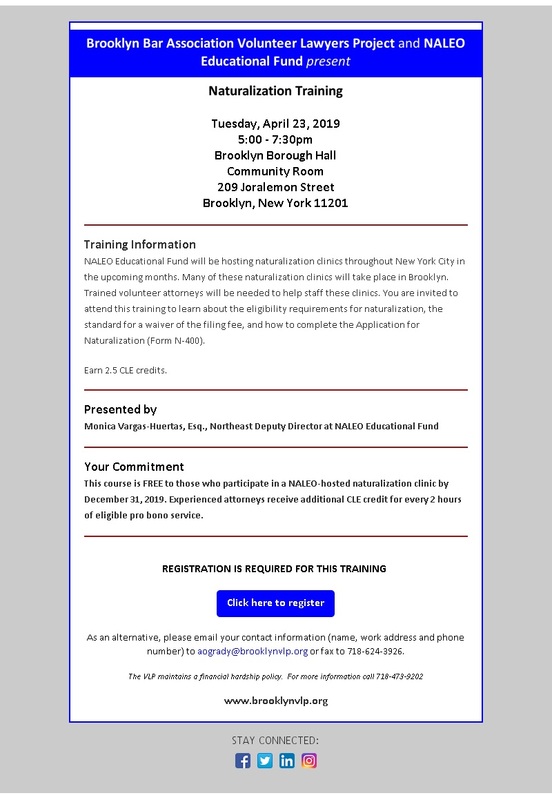 The second and fourth Thursday of every month will feature housing and elder law assistance, as well as help with pension matters, from Legal Services NYC-Brooklyn. Borough President Adams noted the importance of making legal services available to those facing financial challenges in the borough. Those interested in Access to Legal Service are asked to call (718) 802-3777 to make an appointment, which is required, for free legal assistance. Walk-ins will only be seen based on availability. The last appointment for each day will be at 4:15 PM. Brooklyn Borough President Eric L. Adams announces his Access to Legal Service program at Brooklyn Borough Hall, joined by (left to right) Sidney Cherubin, Director of Legal Services at the Brooklyn Volunteer Lawyer’s Project; Fraidy Nachman, Director of Outreach and Elder Law at the Brooklyn branch of Legal Services New York City; and Bedford-Stuyvesant resident Albert Danny Marcano, a constituent who received legal assistance. The Brooklyn VLP’s 25th Anniversary Gala at the Brooklyn Academy of Music on May 20th, 2015 was a huge success. See what the Brooklyn Daily Eagle said about the event.